Andrea Nelson and Natasha Romero are two young, local women that wanted to have a space in West Vancouver that sold all their favourite foods. They both have done a lot of travelling and were most influenced by their time in coastal surf towns around the world. They envisioned a place that provided trending fresh foods, as well as a social space that invokes vitality and conscious eating habits. They wanted to offer alternatives in vegan, raw, dairy free and gluten free options. Somewhat like a second home for people, where they could find the types of food that they love but don’t have the time to make themselves. Slow (healthy) food that is easy to access. Before The Anchor Eatery was born these two women previously had zero experience in owning and operating their own business. 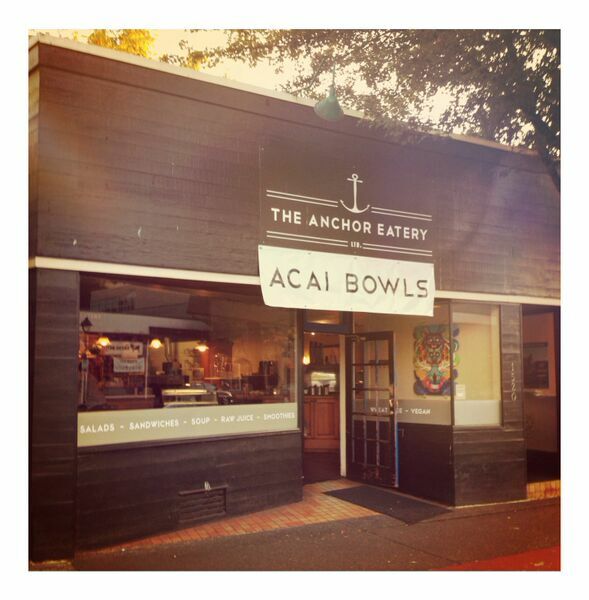 It was only through many long hours, support from family and friends, and a ton of hands on learning and adaptation that The Anchor Eatery has come into its own and continues to grow with new products. They are forever grateful to all the customers that were willing to try them out in the beginning and an even bigger thanks to all that keep returning to enjoy what they have to offer.